Last updated 27 October 2017 . By Olivia Cheves. Industrially decorated and housed in one of the former Somerdale Factory buildings, new pizzeria B Block fashions wood-fired slices from the freshest locally sourced ingredients. Open daily from 7.30am, the restaurant will offer breakfast, lunch and dinner along with delicious coffee from Bristol-based roasters Wogan. While pizza is the primary fare, the dinner menu will also have a range of meat, fish and vegetarian dishes, as well as a selection of starters. 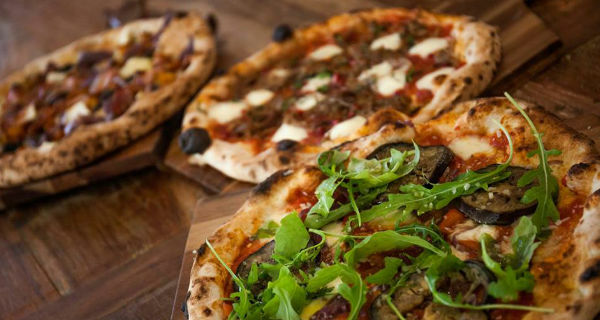 Located in the newly developed Chocolate Quarter, the site of the former Fry's and then Cadbury's chocolate factories, this wood-fired pizza restaurant specialises in locally-sourced, gourmet toppings. Offering everything from the humble margherita, to a luxurious lamb's shoulder and pickled pomegranate pizza, many of their dishes are fresh, eclectic takes on the classics.